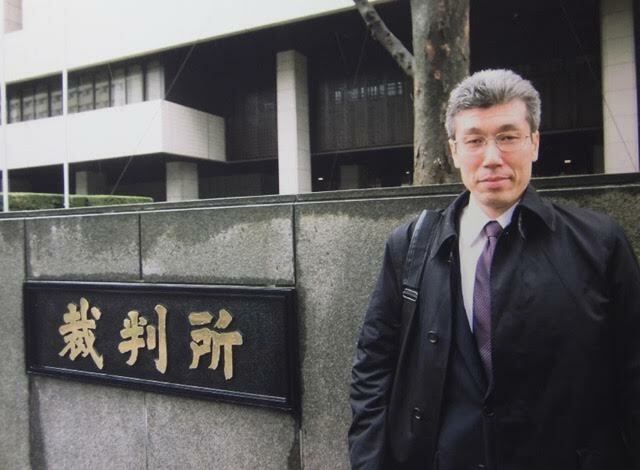 TOKYO, 08.10.2015 (FFWPU USA) – Mr. Toru Goto (51) was confined for 12 years and 7 months in an apartment in Tokyo and pressured to give up his faith and leave the Family Federation for World Peace and Unification (FFWPU). Upon his release, he sued his relatives and the deprogrammers for their forced confinement actions, and last November, the appeals court judgment ordered the relatives and deprogrammers to pay a total of 22 million yen as compensation for damages. Last week, the Japanese Supreme Court dismissed the final appeal of the defendants and let the previous verdict by Tokyo High Court stand. This ended Mr. Goto’s seven-year legal battle to receive justice. Mr. Goto released the following statement on his final victory. “I am sincerely grateful that the civil verdict in my favor has been finalized, and I want to thank everyone who supported me. Following my release from confinement on February 10, 2008, I fought a total of seven years in both the criminal and civil routes. This was not just a personal fight. I also fought with the thought that I was representing the 4,300 victims of abduction and confinement during the past 50 years. By the finalization of this verdict, the unlawful actions by Christian ministers known as ‘opposing ministers’ and deprogrammers who received money in return for their exit persuasion efforts who had until now escaped legal accountability were condemned. Also, it is important that the courts have stated clearly that exit persuasion involving physical confinement, even by family members, is unlawful and can never be permitted. Perhaps influenced in part by the current case, there have only been two incidents of abduction and confinement during the past year (or perhaps I should say there have been as many as two). Also, we have seen that members, when confined, strongly protested and resisted and were soon released by their families. This is something that we had not seen previously. Such developments give us hope that abduction, confinement and forced conversion is coming to and end. Toru Goto serves as the president of the National Association of Victims of Abduction, Confinement and Forced Conversion, Japan. This entry was posted in Uncategorized and tagged Forced Conversion, Goto, Japan. Bookmark the permalink.